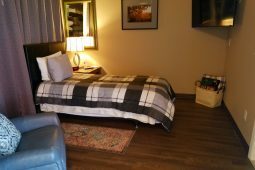 This room is a ADA-accessible with a queen sized bed and upholstered chair. The room is 320 square feet. 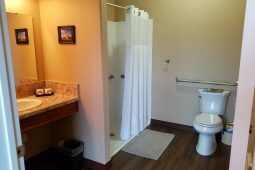 The bathroom has a 4′ shower with rain shower head, toilet, and a single sink vanity. 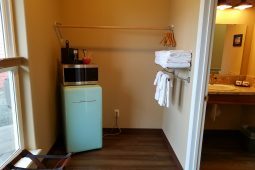 Microwave, TV, and mini fridge in the room. See the Things to See and Do page for more information on activities nearby the Inn. You and your dog* will enjoy the immediate access to the nature trail, just outside your door. *See our pet policy for details on pre-approving your dog. 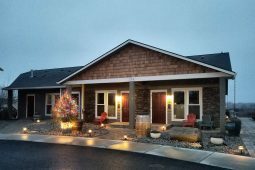 For questions about your reservation or for additional accommodations, please call us at (509) 581-0522.